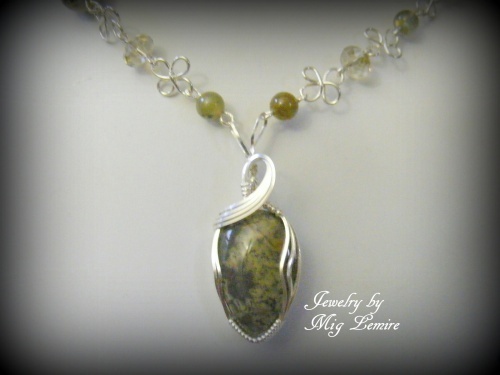 This pretty necklace is made of Labadorite gemstone beads and some agate and some beige crystals which is a perfect blend of colors that will match any outfit also the beads are accented with pretty clover like links of sterling silver. 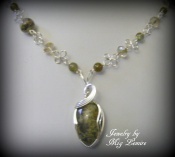 Focal is a matching Agate gemstone framed with sterling silver. Clasp is ornate and also sterling. Complimentary earrings included.